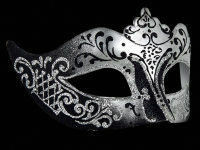 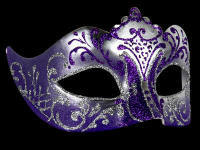 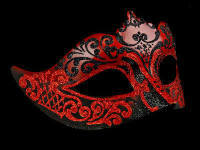 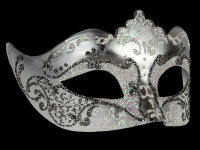 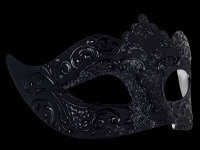 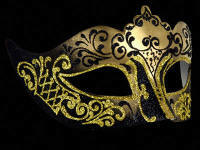 Simple yet full of style, this Stella masquerade mask is the missing piece to your party look. 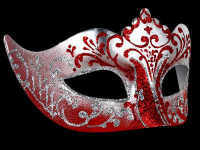 Guaranteed to add sparkle and glamour to all of your clothes, this stunning mask is designed in a fashion-forward silver pink colour and handpainted silver & pink glitter swirls further enhance the luxury of this fabulous womans mask. 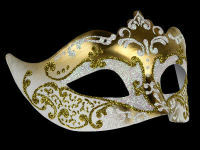 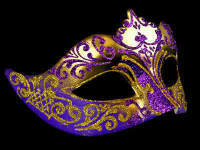 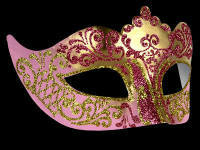 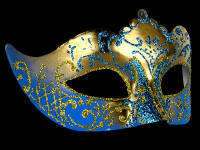 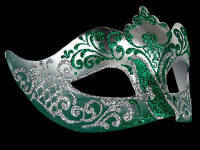 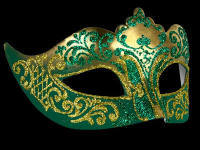 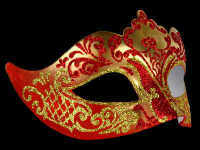 For a look that exudes your knowledge of excellent styling & is a must have at you next Venetian party or masked ball.